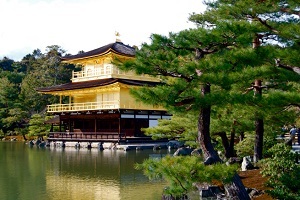 Kyoto, Japan -- When Kyoto’s Mayor Daisaku Kadokawa told Prime Minister Narendra Modi that Japan’s values of cleanliness have come from Buddhism which was born in India, a candid PM lamented “we seem to have forgotten those values of Buddhism”. This exchange took place when Kadokawa gave a presentation to Modi on Sunday on how Kyoto made the transition from an old historic city to a modern and clean city of the 21st century, while keeping the old parts alive. This is also a template for Varanasi and other old heritage cities in India. The exchange took place a day after the two governments signed a pact between Varanasi and Kyoto. The candour in the meeting was evident when Kyoto’s Mayor said it took seven years for the historic city to get rid of big posters and hoardings from the walls. Modi rued he too had tried something similar in Ahmedabad - as Gujarat CM - but those posters came back later. When Modi asked how much time did it take for them to realise this dream of a “poster-free Kyoto”, the Mayor said it took them about seven years to accomplish the task. He even informed that the “last two posters” will be brought down on Sunday. “Today is a very important day for us,” a visibly satisfied Kadokawa told Modi, referring to the end of seven-year-long campaign on Sunday. Varanasi’s walls are infested with posters too - many of them of political leaders, including Modi’s. Kadukawa also told Modi that Kyoto has brought down its garbage by 40 per cent. “Kyoto’s per capita garbage generation is the lowest in Japan,” he informed the PM. Officials said Varanasi can also benefit from an understanding on minimising garbage generation - which pollutes the Ganga river.